The Royal Commission into the banking industry has demonstrated that regulators have failed us, while the role of protecting the public from corporate greed has often been performed best by journalism. This is despite the fact that the news media has faced major disruption and the kinds of financial constraints that make consistent and forensic analysis of big business much more challenging. 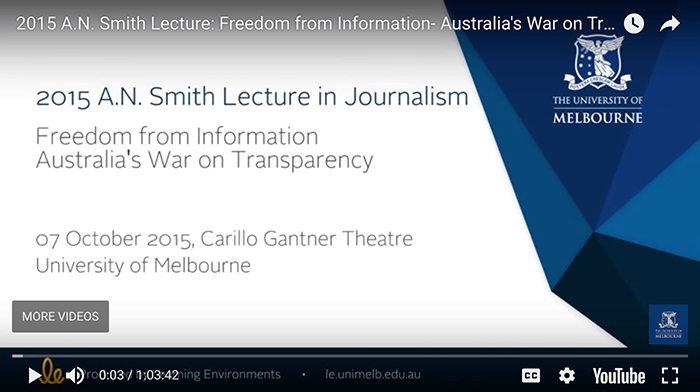 In her AN Smith lecture, investigative reporter Adele Ferguson - who many credit as the initiator of the Royal Commission - asks why it is that journalism stepped up while regulation failed? And what can be done to strengthen journalism to ensure it keeps on performing this vital role? 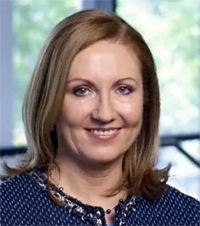 As a journalist and columnist for the Sydney Morning Herald and The Age, and columnist for The Australian Financial Review, Adele Ferguson AM has won eight Walkley Awards (including the Gold Walkley) as well as two Gold Quill awards. Arthur Norman Smith was a founder of the Australian Journalists' Association, served as its first general president and for five years as its general secretary. Thanks to a generous bequest from the Smith family, the prestigious AN Smith Lecture in Journalism is presented each year by a leading authority on some aspect of journalism. As a journalist and columnist for the Sydney Morning Herald and The Age, and columnist for The Australian Financial Review, Adele Ferguson AM has won eight Walkley Awards (including the Gold Walkley) as well as two Gold Quill awards. Several of the awards for cross media projects she helmed with the ABC's Four Corners program. The investigations uncovered myriad scandals within the banking sector, exposed misconduct within franchising and also unearthed wrongdoing within the retirement home industry. Adele Ferguson is currently writing a book, Banking Bad: How greed and broken governance conspired to break our trust in corporate Australia, to be published by HarperCollins Australia. It will build on her more than four years of reporting into bad behaviour by the banks. The disruption of 'legacy' newspapers by the Internet should be welcomed and celebrated. Morry Schwartz believes that this problem will be solved with the development of highly targeted and personalised advertising on the internet, and importantly with the advent of a paid-content model, which will bring with it many blessings. The greatest being that in order to be successful, media companies will need to offer such valuable and desirable content that people will be willing to pay for it! Kim Williams, AM, Chief Executive of News Limited. Details of previous lectures from 1997-2006 are available on the University's Speeches and presentations A. N. Smith Lecture in Journalism web page.